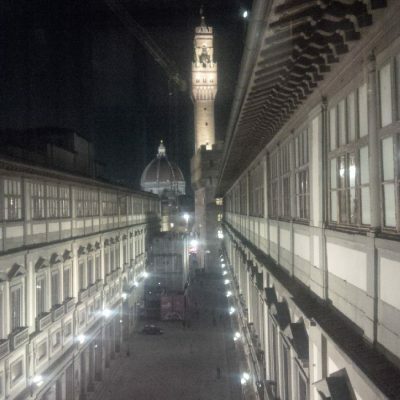 Kai presented the Mirror Salon: decision time at the ELIA Biennial Conference in Florence on November 30th. The Mirror Salon workshop is about decision points in design and creative processes in and outside of the field of art education. The workshop came out of Kai’s research on design thinking at the Fontys School of Fine & Performing Arts (FHK, Tilburg) where he was an associate lecturer on Design thinking until September 2016. The workshop took place as part of the ELIA conference. ELIA is the primary independent network organisation for higher arts education. During the workshop the participants reflected individually and collectively on how one makes design decisions. On what grounds do you base your decisions? What can you learn from that and how can this contribute towards the implementation of those decisions? In Design Thinking (1987) Peter Rowe, Professor Emeritus at Harvard’s GSD, provides a systematic account of the process of designing in architecture and urban planning. The book was one of the first to frame the subject of what we now recognize as design or designerly thinking. Also described as a toolset and mindset, design thinking is a method based on the design process applied at non-design challenges within society. Thirty years after Rowe’s book our understanding of how we make design decisions has developed greatly, influenced by new scientific, technological and psychological insights. However, on an individual level, in spite of those advances, it still all starts with the reflection on and consciousness of how we make our decisions and how we can become better at that and consequently realizing our ideas and goals. Thus, the topic also relates to the work by Donald Schön, The Reflective Practitioner: How Professionals Think In Action (1984). Schön points out the difference between reflection in and reflection on action, and parallel the relation between first and second order learning. A recent addition to the domain comes from Tom Greever’s Articulating Design Decisions (2015) (see his lecture on VIMEO). He has looked at how designers (can better) articulate their design decisions. He makes connections with UX (interaction design) and integrates in the discussion lessons learned from the digital and interactive domains as well, potentially from service design. In design thinking theory much attention is given to the iteration of the whole process and between all steps: how reasoning forwards and backwards creates better design decisions during the process. Want to know more about the Mirror Salon workshop about decision making? Contact us at Kai (AT) noha.nu.